FastTrackMail offers a new, simple and very convenient interface for processing e-mail and it's a powerful email management tool with features to increase your productivity and enhance your communications. The program provides extensive filtering and processing capabilities for incoming correspondence and requests. It allows automatic sorting of incoming messages based on preset criteria and their placement in individual folders or mailboxes where they can be viewed at a later time. Fasttrack Mail is great for building and managing mailing lists. 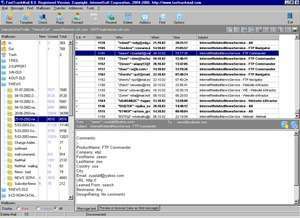 FastTrack Mail 8.80 is a shareware program and can be used as a demo to try the software until the free trial period has ended. A full version of the program is available after the trial period ends. For security reasons, you should also check out the FastTrack Mail download at LO4D.com which includes virus and malware tests. Additional screenshots of this application download may be available, too.